Cash for Cars in West Virginia - We Buy Cars Fast! Selling a car in West Virginia can be both “Wild and Wonderful”. The moment you put that car up for sale you're going to get buyers from all over the place who will blow up your phone and waste your time. They’re beating your asking price down to a wild, low-ball offer. Just imagine how much valuable time you're going to invest into a buyer that's not worth it. Don't waste any more time, and find a buyer who can turn this wild experience into a wonderful one. We’ll make online offers on most makes and models in just 90 seconds. We’ll deliver payment and tow your car in 24 to 48 hours. We will provide haggle-free offers and FREE towing. Sell your car the smart way today! Just click here. CarBrain has service throughout most of WV! We work with some of the best tow companies in the business to ensure that we can pick up your car near Charleston, Huntington, Morgantown, and other cities near you. Our dedicated team of buyers has over 30 years of experience in the car business. We’ve put our knowledge to the test and created an interactive price engine. Submit your vehicle through our fast and easy price engine and in 90 seconds you could have an offer! If you agree to our offer, we’ll tow your car for FREE! Where Can I Sell My Car in West Virginia? Whether you're selling a used or less-than-perfect car, choosing the right place to sell is important. That is, if you're looking to get the right price. In West Virginia, you will find many buyers willing to purchase your vehicle. Although they're all looking to buy different cars, they want the same thing: to buy that car for the least amount possible. Each has their own sales tactics and when it's time to sell, you’ll want to watch for them. If you try to sell locally to a private buyer, then you are in for a bumpy ride. Imagine all the calls and texts you're going to get from strangers to meet and showcase the car. And when you meet with them, all they’ll do is waste your time driving down your fair asking price. 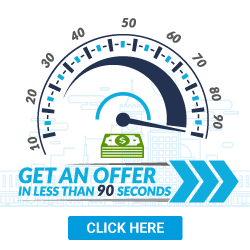 Thankfully, here at CarBrain, we will make you an online offer in just 90 seconds. If you agree to the offer, it will be guaranteed when we show up to pick up the car! Trade-in deals at dealerships at times may seem like a good option, but it can be more than meets the eye. Dealers typically don't buy your car unless you buy one from them. Just to help them make a sale, they’ll give you the price you want or beat any offer you have. But all the extra money you're getting for your trade-in car is just being tacked on elsewhere as a hidden or dealer fee. With CarBrain, you don't have to buy another car. We’ll buy your vehicle outright and pick it up for free in just 24 to 48 hours! “Cash for Cars” or “Cash for Clunker” - if you have seen these ads around town, know that these are your local junk and scrap yards. These facilities are in the salvage business and the offers they will be giving you will be based on the salvage metal value of your car. They pay no mind to your premium options like navigation system or leather seats. CarBrain knows that every car is unique and deserves an offer just based on its own merits. All of our offers are uniquely made for every car. Our interactive price engine is designed to get all the accurate details on your car to provide fast and fair cash value offer. What Cars Do You Purchase in West Virginia? Cars come in many shapes and forms. When it's time to sell, make sure you find the best buyer for your car. Unlike most buyers that only buy certain types of cars, CarBrain will buy almost every make and model sold in the US! Whether you have ‘big mudder’ truck, elegant luxury car, even an efficient hybrid, CarBrain will buy your car for a fair market value. We’ll even tow it for free! That alone will potentially save you hundreds of dollars in towing, especially if you have big heavy truck. Some vehicles aren't so lucky and might have been in an accident or damaged mechanically. While some buyers will stay away from these cars due to the unpredictable repair cost, CarBrain won't. We'll make an offer on less-than-perfect cars, even if it's been wrecked or totaled from an accident. We’ll even buy your car with mechanical problems like a bad engine or transmission. One important thing to always keep in mind is to make sure you don't take apart your vehicle. It could have a major impact on your offer. We’re not talking about a bumper that fell of from an accident either. Keep a vehicle as complete as possible if you want to sell, and never remove parts like the wheels, battery, lights, or any other parts that the vehicle needs to be roadworthy. If you're tired of dealing with buyers that waste your time, then come check out CarBrain! We’ve simplified the way to sell your car into a fast and easy process. See why we’ve been recommended by thousands of customers. Just click here. 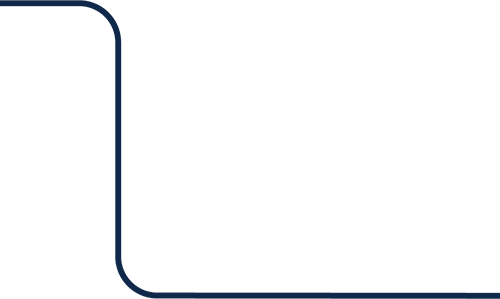 CarBrain has a state-of-the-art evaluation system with offers on most cars made within just 90 seconds. In addition, we will pay you when we pick up and tow your car in just 24 to 48 hours! We’ve simplified the way to sell your car into three quick and easy steps. See for yourself! Why Should I Sell My Car to CarBrain? Selling your car can consume all your time. Stop meeting with strangers to go back and forth with frustrating negotiations. Sell your car to CarBrain instead. We won't waste your time because we’re the smart way to sell your car. CarBrain could help you turn that unwanted or less-than-perfect car into fast cash in hand. 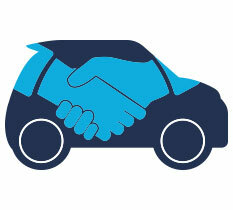 Our process is quick and easy with most cars receiving offers in just 90 seconds. You’ll see why we’ve been recommended by thousands of customers. Just click here to get started today. We provide free towing to any of our West Virginia locations. No offer is the same because no car is damaged the same way. Our guaranteed offers are unique and based on individual situations. Our offers are based off your vehicle's year, make, and model. And can be affected by the mileage and current conditions of your car. What should you know before selling to a junkyard or private buyers in West Virginia?